When you forgive a great burden is lifted off you .I'm happy you have forgiven her. The way you think makes me reassess everytime. You're right, forgiveness is more than towards the other, a personal concept. It does set us free. It's not easy to forgive. But holding on to anger and feelings of revenge will get you nowhere. i wish you a wonderful new week dear!!! Nice article Launna, have a great week! Nel tuo blog ci sono sempre cose interessanti. It is not so easy to forgive anybody who already hurt me or put me in difficult situation. I try to forgive myself instead of somebody else. I am learning a lot from you. Fantastic post! I am so inspired. I understand you, my sweet Launna! =) When we hold onto anger, we only damage our own souls, eh? It's such an easy trap to fall into, which is why we have to constantly claw our way back out. Here's to your words of wisdom and making our hearts soft enough to let go. 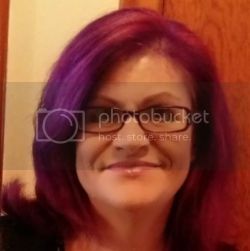 I have to admit that I let go of my mother many years ago but I have never forgiven her and I'm not sure I can but you have certainly given me something to think about. I do know letting go and walking away was the best thing I ever did for myself. Fingers crossed for you! Hi Launna, Yet another inspiring post from you. I always liked the quote about forgiveness that you featured here too: "To forgive is to set a prisoner free and discover that the prisoner was you." Sometimes we know all these quotes but at times, it is really hard to practise it. It can be done but it might probably take lots of time. Thanx Launna. Ooh, so glad to see so many ladies complimenting the hubz new hair cut. His hair grows so quickly that he has since cut his hair another time. Yes, I'm so glad I wrote that Blog comments DOs and DON'Ts post for I've made a lot more new and sincere blog friends after that! So happy to know you this way too! I'm glad you picked out the part on expectations and I agree with you. Usually I try not to have expectations so that I won't be disappointed but for food, I can't practise the same concept. Haha... I want my food as how I expect especially if I know how a dish should taste like. I would definitely opt for window hotels in future after this experience. I didn't know about the safety must-haves of windows in Canda but you are quite right now that I think about it. You're so positive! Sometimes it is good to forgive someone. But you have to feel good about it! Forgiveness is a must not only light but free as well. Good for you to do that Launna. 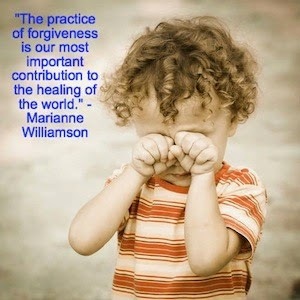 Life is already heavy and difficult if everyone in the world knows what to forgive - that's going to be such a blessed. I've been always forgiving people who those not nice to me myself too - because at the end of the day, we are the only one who can make us happy:). What are you up too this week? me and my hubby are going to the boys school flied trip tomorrow to visit a pumpkin's farm and feed cows. Its going to be so much fun with the boys' classmates and other parents as well:). Wishing you a beautiful new week Launna.! I agree with you. Forgiving some one is not only good for them but for us too. Great Post.! The same is happening to me, Launna, I have to thank you so much for this post. I think you're right right right. I have to pray to be free, not to be overwhelmed by this person and let him free to go his way. A big big hug from Italy, Launna!!!! thanks for being so sincere and share your experience. I agree with you. Forgiveness is the solution. I love that feeling - feeling lighter because a burden has been lifted. Oh Launna, I am so, so sorry about what you went through. The fact that you prayed not wishing ill of her but simply to be released..that is so very gracious. That sounds pretty exited for the two of you and I am so happy to hear that you and Valentina are happy. Enjoy the Haloweens fun week Launna. I want to hand out the candy but my boys are too excited to just hand out the candy. We will be heading to the street of Halloween:) every houses in the street next to us are decorated so fancy and also so scary too but kids love that:). Good night my Launna. Talk soon. Xxxoo Tanya. I go by what Mother Teresa said!! It sure is very important to forgive when in Love! I love your positive message and all the quotes that you Have shared.... it's no easy to forgive, I'm learning a lot from you, My sweet friend! Il tuo blog è sempre bellissimo. 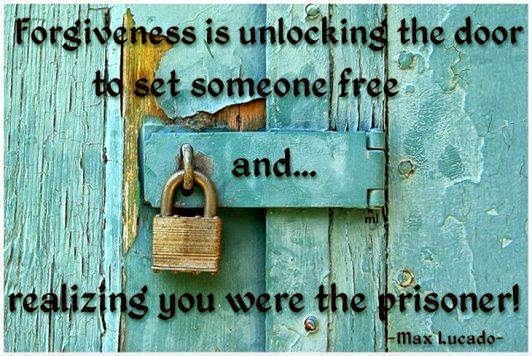 Yep--you're the prisoner when you don't forgive. One of my favorite sayings is, "Resentment is setting myself on fire in the hopes that the smoke will bother you." There are variations out there but the point is, that anger and resentment only hurts you, not the other person. When you realize that, it's freeing in a way. I think this is so important Launna and I'm so sorry for what you had to go through as a 15 year old with your ex stepmom. To have that kind of wisdom as a teen is so strong of you and that you were able to pray for 6 months until you were free of it. Forgiving someone - even if they don't realize you're upset with them can be such a weight lifted off you as you mentioned! Sometimes it is so hard to forgive, but often holding onto grudges is only hurting ourselves! hi launna... what a nice thought.. a simple word but have deeply meaning and difficult to do that is 'forgiveness' forgiveness come from the hearth. .wow you are really kind not only forgiveness, you hope happiness come for her also.launna i always enjoyed to read all you post, i m learn from ur life and thas teach me to thankful for my life. Launna, this is so true. Holding onto anger just festers inside of us, but when we can forgive the one who caused it, we can let go of it and move on. Forgiveness is something we should all practice, but it's often not easy. Amazing post! It is so true! I agree with you! Forgiveness is necessary for our hearts. Oh, Forgiveness is a powerful thing, but it takes awhile to feel it in our hearts. Perhaps, it is an on going battle. Now that I get older, sometimes, I think I might actually forget before I actually forgive. Its just, well..people from my past who are a lot older now too, and I see they have actually forgot..and I have to accept that. Oh, the twist and turns of our lives. Sometimes, those ghosts aren't easy to visit. Keep Writing and moving forward! I am continually impressed with how open minded and kind hearted you are. The fact that you always try to rise above and do the right thing really in an inspiration. Sometimes we forget that forgiving is as much for us as for the other person. This was a great reminder. Great post!! Love your blog by the way! Buon lavoro e a presto, ti abbraccio. You are such a good person. 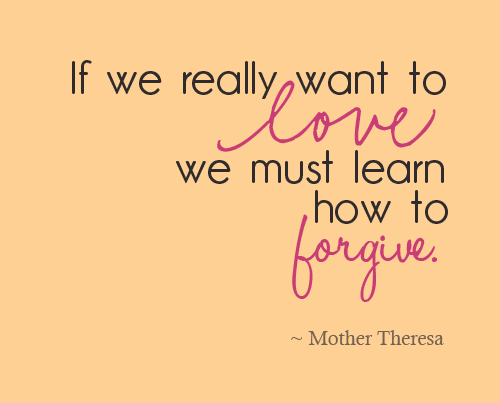 To forgive is very difficult. I think some people don't deserve to be forgiven. You are such an amazing and strong person. Hi Launna! Lovely Greets and kisses! Querida Lau DEUS te abençoe eternamente. All of these quotes are so good and inspiring. I love to think reading this. I understand you, hun, it's not easy to forgive, but i think it's healty! I so agree with you Launna. I heard it said that to not forgive is to break the bridge that we need to cross. Hugs girl. Have a great weekend. Hi my lovely Launna. I'm about heading to bed. And just wanted to come by to say hello and thank you for stopped by:). I didn't realized that tomorrow is a Halloween night:). Hope you don't give yourself of the hard time for your studying weekend:). We will be have lots of fun on a Halloween night. Enjoy ur time with Valentina too. Good night. Take care of your self. Good night Luanna Kissess. Forgiveness is not an easy thing, but it is necessary if we want to feel free. Keeping anger and hatred in our hearts is like a cancer, it will devour us and do much damage. It's good that you got to be free from your step mother. Hugs! Thank you so much for your words. You touch my heart. Passando para ti deseja um bom final de semana cheio de muitas alegria. How interesting Launna! It's like you read my mind. Just few days ago i was able to let go of persons who wronged me intentionally. I have been angry for the longest time, i was so consumed with bitterness that i even didn't like anyone with same name(s). I am so grateful for that load has been lifted from my chest, for sure i was the prisoner. Thank you for sharing your story. I love, love, LOVE that Max Lucado quote. Beautiful, and oh so true. We just have to remember that it's more important to be kind than to be right. Forgiveness is the kind thing to do, both for yourself and the other person. Beautiful post! Forgiveness is not easy, but it's so worth the effort.It feels like a stone falling of your chest, doesn't it? Passando para ti deseja que DEUS seja contigo por onde andares. Thank you for your comment! Did you celebrate Halloween? O perdão é necessário em qualquer situação. Mas digo por experiência própria que perdoar não é assim tão simples! É complicado deixar as mágoas de lado e libertar o coração! Have a lovely weekend honey!!!! Thanks for your lovely weekend's wished my lovely Launna. I hope you do the same. Have fun with your studying over the weekend. Don't forget to relax yourself not only blogging only:). Thanks for your comment on my blog! You're so sweet. You have such a good heart, Launna. I wish I could be as forgiving as you are. That's one thing that is hard for me to do when I have been wronged by someone else. I may forgive but unfortunately, I never forget. Forgive people is not easy! You have to think good about it! Hope everything comes all right! Big hugs!